One of the beautiful things about Scripture is how it serves as a window to how God's people have been wrestling and interacting with Him for thousands of years. Whether through letters, stories, or books of history we see that we are not alone in our experiences. In the book of Psalms we get a unique look at God through the lens of the art created by these interactions. Through this series we will take a look at these inspired creative works and discuss what we can glean from them today. "Ascribe to the Lord the glory due His Name." 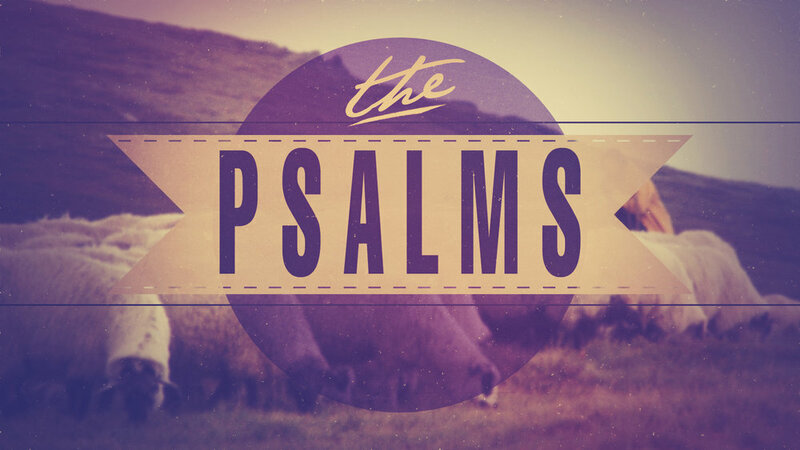 Just like today, the artists who created the Psalms went through spiritual highs and lows. Psalm 29 is a psalm of praise, glorifying God for who He is. Join us this week as we reflect on God's voice, His strength, and His position. "Will You not revive us again, that Your people may rejoice in You?" If you have been following Jesus for any length of time, you know that Christians are not immune from difficult seasons in life. In Psalm 85, the psalmist cries out, desperate to be restored. Join us this week as take a look at how we find renewal in Christ through practices like solitude and reflection. "My sacrifice, O God, is a broken spirit; a broken and contrite heart You, God, will not despise." When reading the psalms, we often find ourselves speculating about what the writer was experiencing that inspired him. What caused him to pen those words? For Psalm 51, we have the answers to that question. Join us this week as we look at the events in the life of King David that inspired the psalm. "Blessed are those who fear the Lord, who find great delight in His commands." Father's Day is a day to celebrate and remember our fathers for all they have done, but what makes a great man? In Psalm 78 we unpack what a holy man looks like and also take a look at how this impacts our perspective towards our Heavenly Father. "How long must I wrestle with my thoughts and day after day have sorrow in my heart?" Our culture fears sadness and teaches us to run from it. The good news for us is that God not only gives us permission to be sad, but promises to be present with us in the midst of our sadness and gives us lament so that we might know what to do with it. Listen as we learn that moving towards our sadness is actually moving towards God. "Sing to the Lord, praise his name; proclaim his salvation day after day." Worship is both a personal and corporate response to the greatness of God. As we worship, we are encouraged to model the psalmist by engaging our mind, emotion, and will. This week we specifically target the worship gatherings and why we choose to regularly worship through songs, stations, and prayer. "The Lord lifts up those who are bowed down, the Lord loves the righteous. The Lord watches over the foreigner and sustains the fatherless and the widow..."
One of the most uncomfortable topics to talk about on Sunday morning is giving and generosity. It's so easy to tune out and say "the Church just wants your money." Join us this week as we learn that generosity is not about what God wants from you, but what He wants for you. Looking for an older series or message? We are adding new (old) series weekly! Check out the archive to see what we've added.